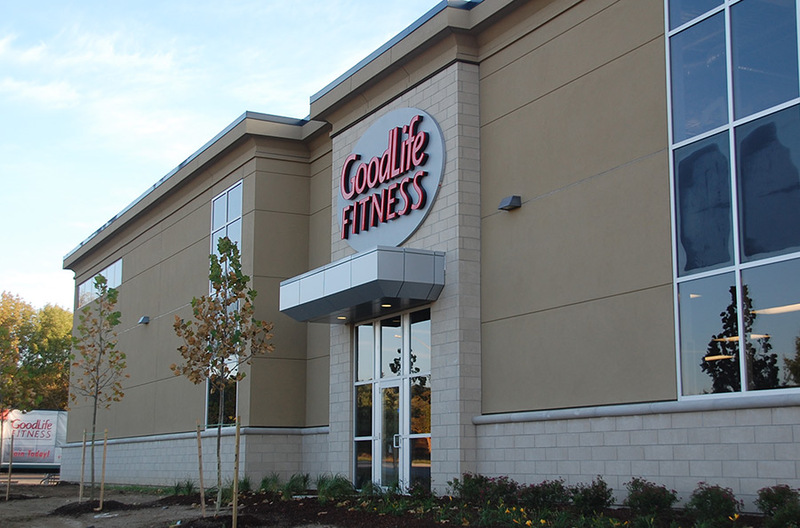 This 24,000 square foot luxury centre will amaze and invigorate those focused on fitness. 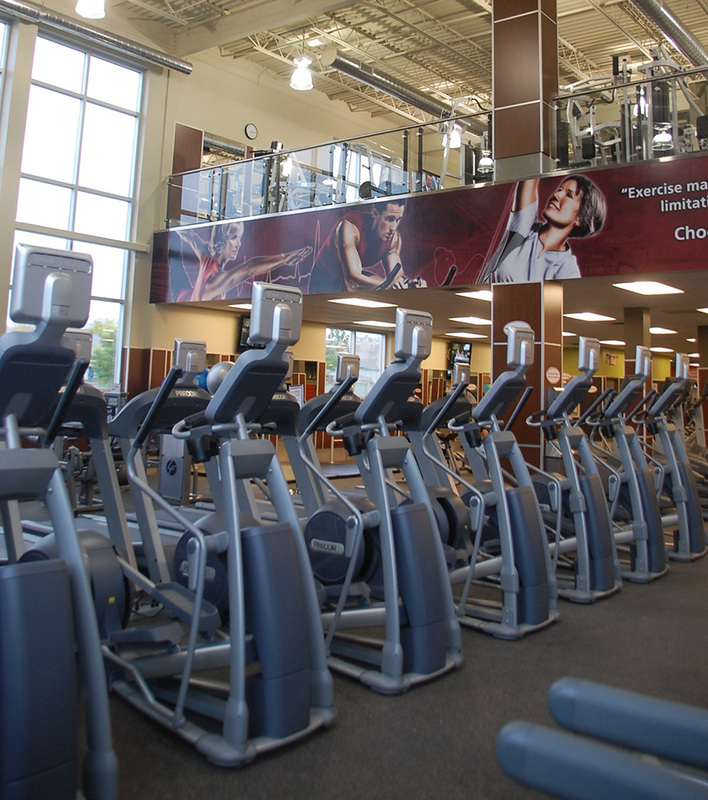 The facility is a combination of sleek and warm materials. The wood paneling which adorns the walls provides a warm comfort and contrasts to the endless rows of stainless steel equipment. Oversized windows drench the interior with natural light. 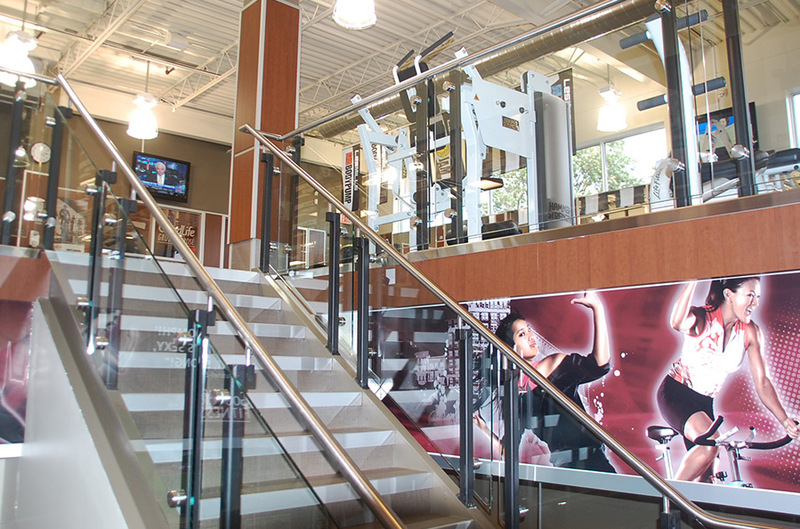 The open mezzanine glass railing overlooks the cardio area below and the two storey large screen television wall provides entertainment while working out in any area of the gym. 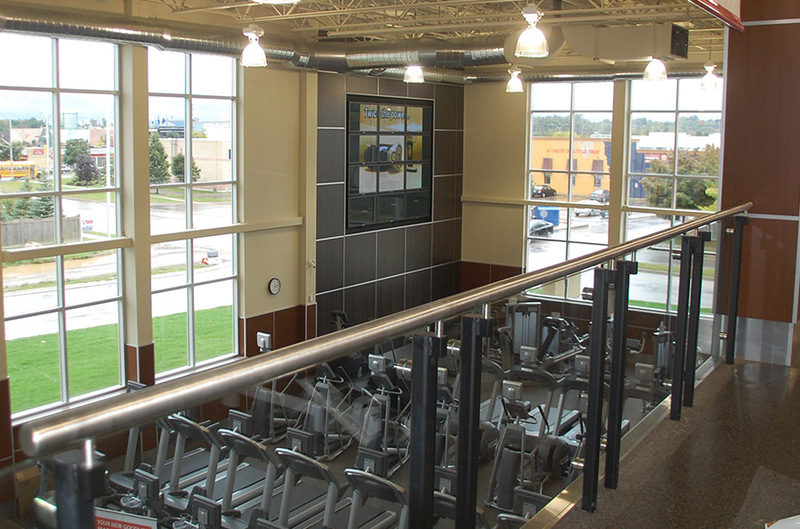 Every piece of cardio is equipped with a personal television and the equipment is the latest technology. Plasma televisions are scattered throughout the club so every corner provides viewing entertainment while you enjoy your workout. The locker room floors are slate and the lockers are cherry wood, the feeling is so rich you’d think you were in a private club. Nobody expected the final product. The building, the design and the space are so inviting the whole town is talking about it.